Air humidifier: what are they and how do they work? • The Air Geeks, reviews of air conditioners, dehumidifiers and air purifiers. 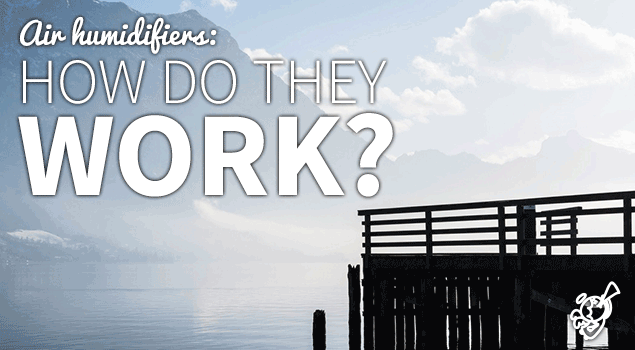 Blog, Dehumidifiers » Air humidifier: what are they and how do they work? Air humidifier: what are they and how do they work? Nowadays, we have the great advantage of being able to get hold of a large range of household devices. For example, if we needed we can easily buy a dehumidifier. Conversely, there is also a wide variety of humidifiers on the market. In spite of their numerous advantages, few people know the true value of the air humidifier. What is an air humidifier? 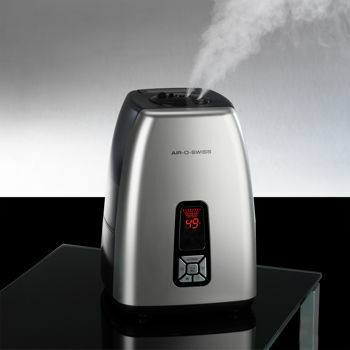 As its name suggests, a humidifier is a device capable of humidifying the air. It was created to provide comfort in winter, when the air inside the home can be dried out by our household heating. By using a humidifiers, people avoid living in a house where the air is too dry, and reduce the risk of conjunctivitis and nasal and lung infections. There are 6 kinds of air humidifiers: cold steam humidifiers, warm or hot ultrasonic humidifiers, high-, low- or medium-pressure humidifiers and double humidifiers. It’s worth noting that pediatricians often recommend installing an air humidifier in children’s bedrooms. How does an air humidifier work? Humidifiers work in a similar way to dehumidifiers. Indeed, recent devices are intelligent to the point of switching themselves on automatically when the air becomes too dry . They can also be programmed and adjusted to meet your specific needs. You can place the device in the middle of a room for better moisture diffusion. However, avoid placing the device near a wall or furniture, as this prevents moisture from spreading into the room. Never put these units next to a radiator as this cancels out the benefit it brings. These devices are easy to maintain; simply rinse the tank and filter regularly and dry them off when not in use. Why should you think about buying an air humidifier? Opting to buy an air humidifier is choosing to live in a healthy home and investing in your health. Indeed, with one of these at home, you will have no problems with skin dehydration, irritated eyes or allergies. In addition, this device also helps keep furniture in good conditions and will even help you make considerable energy savings. Today’s market also has a a wide range of stylishly designed humidifiers that will fit right in with your chosen style of interior. Despite the fact that the humidifier is a useful and effective instrument, in some cases it may prove to be a mere fad. However, this is not really true in the case of dehumidifiers, which in addition ridding excessive humidity from the air, can also improve air quality by maintaining a good level of moisture.